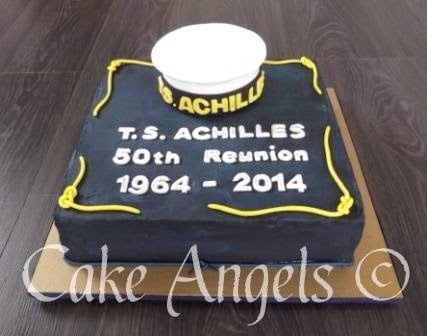 The Cake Angels were asked to bake two Cakes for the 50th Reunion celebrations of the Training Ship Achilles Sea Cadet Unit, based in Orakei, Auckland. 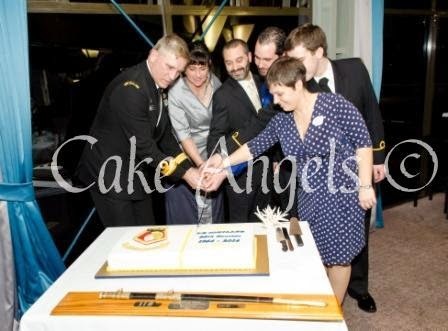 The first Cake (pictured below), was used for the Formal Dinner celebrations on the Saturday night, to feed 100 guests. The second Cake (pictured below), was used for the Remembrance Service celebrations the next day, Sunday, to feed 50 guests. 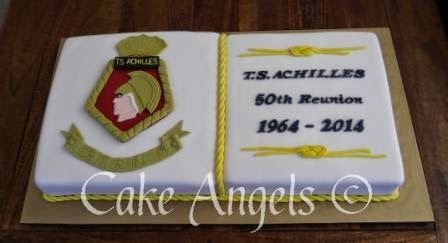 Thanks for the Cakes that you made for our 50th Reunion celebrations. 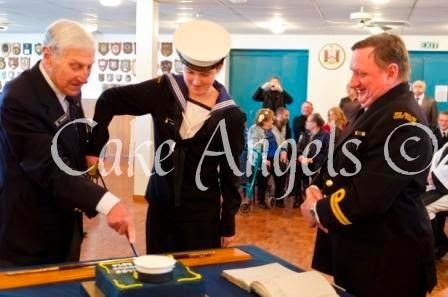 Not only did you make a wonderful and very large Cake for our Official Reunion Dinner, there was also the amazing Cake that you did for our Open Family Day Remembrance celebrations, with the Sailor's Hat on top which was a nice surprise! The decorations perfectly reflected TS Achilles and our celebrations. It was obvious that a lot of time and effort had gone into creating them. And to top it off they tasted great. The two Cakes fed around 150 people, with leftovers for school lunches!